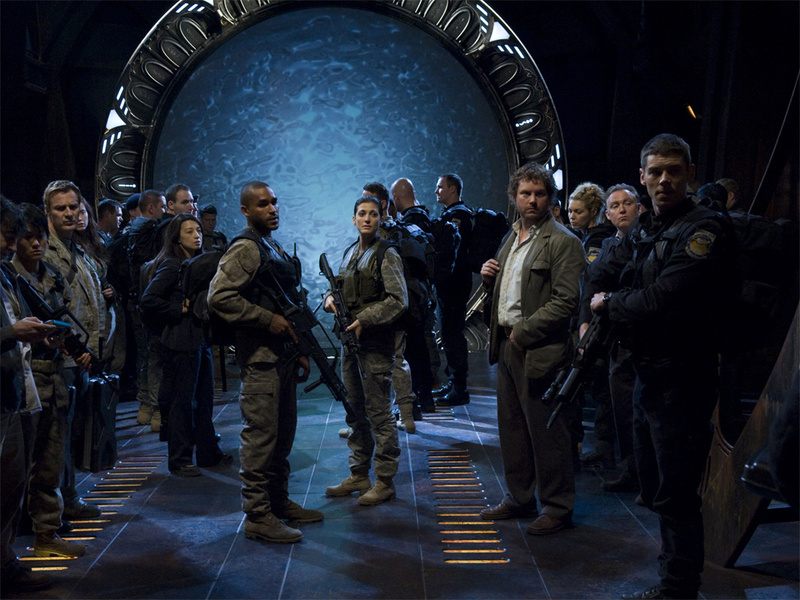 Stargate Universe: "Air, Part 3"
Ready to go back to Destiny? Starting this week all 40 episodes of Stargate Universe are streaming on Amazon Prime Video in the U.S. Prime members can watch every episode online or through any Amazon Prime TV or device app for no additional cost. The science fiction drama originally aired for two seasons on Syfy Channel, from 2009 to 2011. 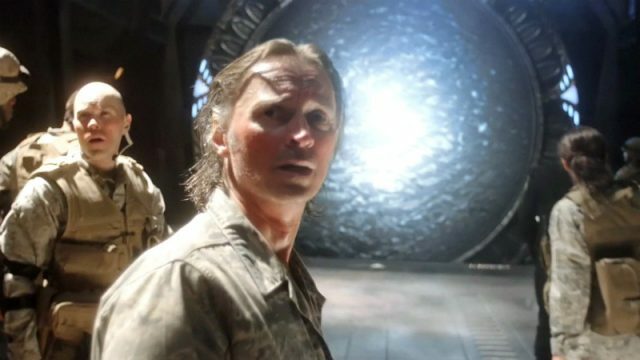 It stars Robert Carlyle as Dr. Nicholas Rush, a driven scientist working to unlock the Stargate’s ninth chevron. 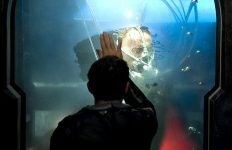 When a crew of humans led by Colonel Everett Young (Louis Ferreira) accidentally find themselves on a ship thousands of light years from home, every day is a fight for survival — and, ultimately, a search for meaning. SGU‘s arrival on Amazon Prime comes at a time when all 10 seasons of Stargate SG-1 are also streaming. 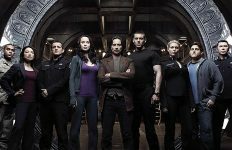 But the five seasons of Stargate Atlantis have just exited the Prime line-up, as of last week. 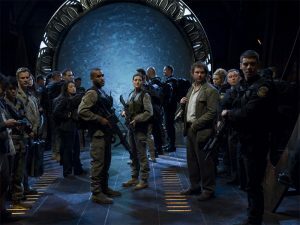 As of this writing, the films Stargate: The Ark of Truth and Stargate: Continuum are also included with Prime. So is 2018’s Stargate Origins: Catherine. Also new to Prime in April are genre titles like AMC’s android drama Humans (Season 3, available April 25), plus Season 2 of The Tick (April 5) and Season 5 of Vikings (April 30). Subscribers to the HBO channel on Prime will also get the final season of Game of Thrones as it airs, starting April 14. And a CBS All Access channel addition will get you access not only to Star Trek: Discovery (and all previous Trek series) through the Amazon video interface, but also the new remake of The Twilight Zone from Jordan Peele. CBS offers a 7-day free trial. Head over to Amazon to start watching SGU, or sign up for a 30-day free trial and binge your heart out! I think Amazon canceling Stargate Atlantis is a mistake . It is a popular show with well known actors in Sci fi . 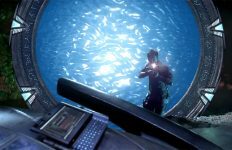 SGU on the other hand was not near as popular and had a feel of to much doom and gloom unlike it’s predecessors . SGA is still available on Amazon Prime, last I looked a couple months back. SYFY is the one that cancelled or ended all the Stargate series. Agree, SGU could have been better. Thanks for getting my hopes up. It’s not streaming in Australia, surprise surprise. Will it look as bad as it does on Hulu? One of the best science fiction series ever. Those turns out to be a lie anyway. I live in Oklahoma City which I’m pretty sure is still in the USA. I have Amazon Prime. Yet Amazon wants me to pay $2.99 per episode or $29.99 per season for the show that arguably destroyed the otherwise amazing franchise. Strangely, there are TWO listings for SGU on Amazon right now. One is selling the eps for $2.99, but the other is listed as Prime. If you use the links in this story you’ll get to the right page. Yes, Let’s put a Unfinished series up for everybody to get real excited that the start of the series was very SLOW and then just as things got fun and interesting…… END. No interest in spin offs, not as good as the original it’s just a copy cat. 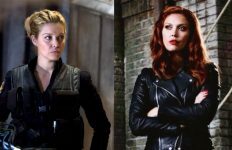 I’d rather see SG-1 make a comeback.